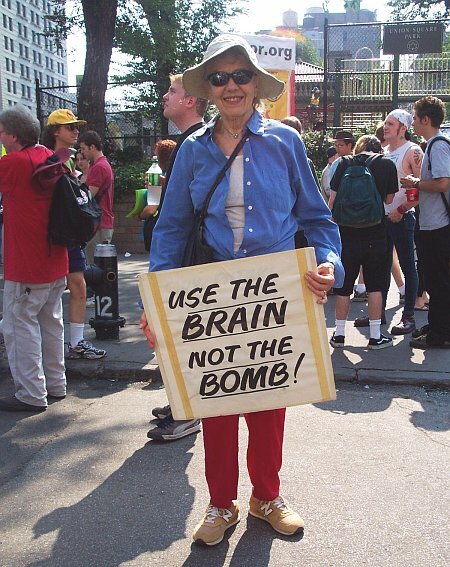 Sallie Marx was a co-founder of the NYC Peoples Life Fund and NYC War Tax Resistance. As a co-administrator of the Fund with Bobby Hieger, she helped keep the fund going and making grants to local nonprofit theatre, arts, and human needs groups for four decades. Click on the photo (left) for a slideshow of Sallie and friends. Photo by Tom Good/Next Left Notes (2004). 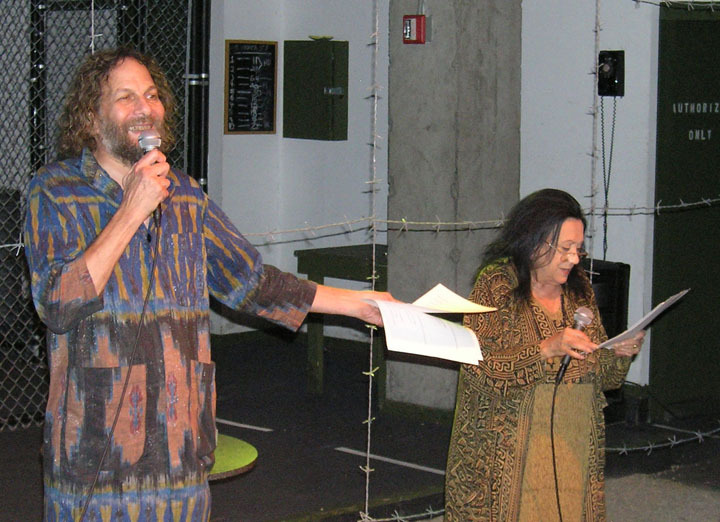 Photos: top, Hanon Reznikov and Judith Malina performing a reading at the event. 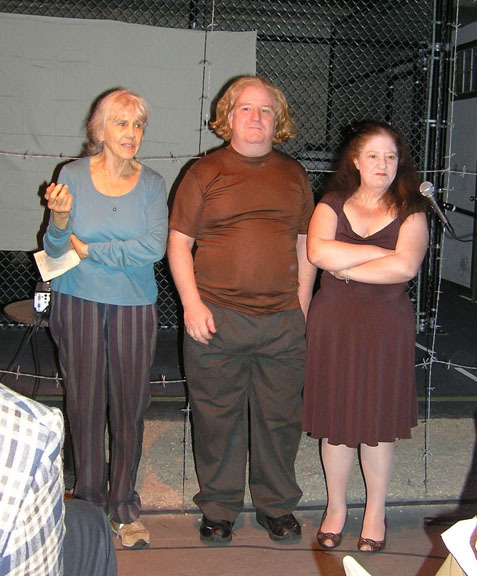 Lower, Sallie Marx and Bobby Hieger, co-coordinators of NYCPLF, and PLF board member Joanie Hieger-Zosike introducing performers at the gala. Photos by Ruth Benn.